Full Geographical Overview Map of Asia Entire wi‍‍‍th Zoom & Scroll Functions, Relief Feautures, Oceans, Main Rivers and Capital Cities. Click to Go to the Asia Report Main Menu Map, with Zoom and Scroll Functions. Mouse over the Country of your Interest and get short basic information on each Country. Once more Click through to the Desired Country and Full Information, Photos, Maps and Photo-Virtual Walks of Cities, Towns, Villages, Monuments, Landmarks and Hotspots covered by www.DrBen.Net and www.AsiaReport.com. 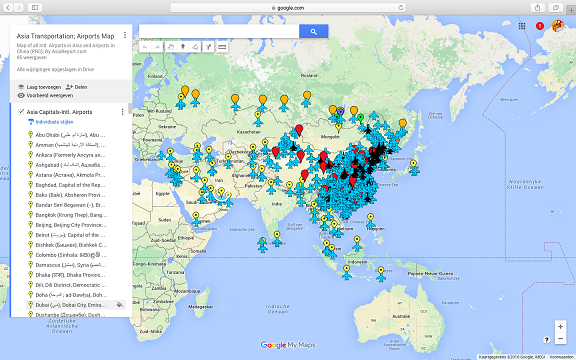 Asia Report introduced GMaps on All Levels of its Online Publishing's since April of 2009. 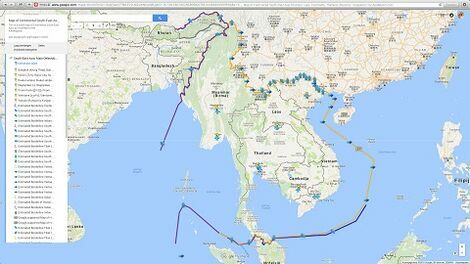 Find Google Maps for countries of Asia and several main travel destinations in Asia via AsiaMaps.com and the AsiaReport.com Maps Index. In addition to listing maps and google maps, inside AsiaReport.com Google Maps are used to support your navigation to location by adding google maps to nearly all Report & Photo Pages where appropriate and useful. Map features various Layers of information. Layers include: Main, Divisions, Main Cities and Towns, Transportation & Locations, Tourist Landmarks and Scenic Sites, etc. Please join DrBen Asia on Asia Travel Community on Facebook https://www.facebook.com/AsiaTravelCommunity and/or Tweet to @AsiaReportcom (on twitter) to join the crowd that sources this Map. 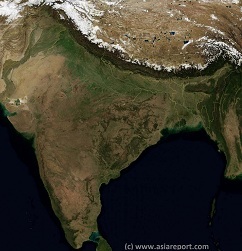 A Satellite Image based overview Map of India entire, including a large part of North-West Pakistan, Nepal, Bhutan, Bangladesh and Tibet Autonomous Region of China. Parts of Yunnan Province of China and Myanmar (Burma) are also visible. This Map clearly defines Nations, Provinces and Regions, as well as geographical features such as main mountain ranges, famous mountain peaks with heights, main rivers & lakes of the region, basins and plains, plus the locations and names of main cities, towns, monuments and landmarks. Asia Report - Map East Asia - Prefectures and Provinces. 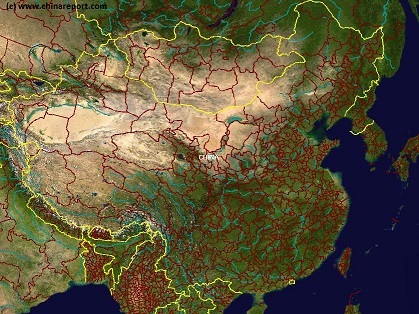 A Satellite Image Map of the better part of East Asia focussing on the Peoples Republic of China and the Republic of Mongolia. ‍‍‍Map depicts all Prefectures within the Peoples Republic of China as well as the Provinces (Aimag) of the Republic of Mongolia. Further included are parts of neighboring nations of Kyrgyzstan, Kazakhstan, Tuva Republic, parts of Siberia and the Russian Federation, both Koreas (North and South), southernmost Japan, Taiwan, Northern Vietnam, Laos, the larger part of Myanmar (Burma), Eastern India (including Sikkim and Aranuchal Pradesh), Bangladesh, Nepal, the Kingdom of Bhutan, Bangladesh and occupied Tibet. Browse the Map and navigate through to each City Prefecture, Rural Prefecture or Ethnic Minority Autonomous Prefecture within the Peoples Republic of China today. Full names are given where possible. Map further includes location of main cities where convenient for better understanding of Map and Locations. Satellite Image Overview Map of Taiwan (R.O.C.). A listing of all available satellite image based maps of Central Asia, Nations and or part there of. 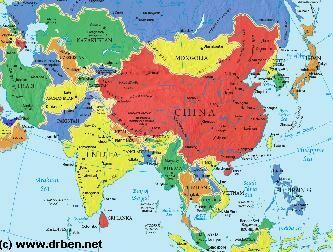 Make use of the Maps to gain insight and overview of historic events in Asia's Nations, Territories, disputes and 5000 year long history. Regular additions and upda‍‍‍tes !! 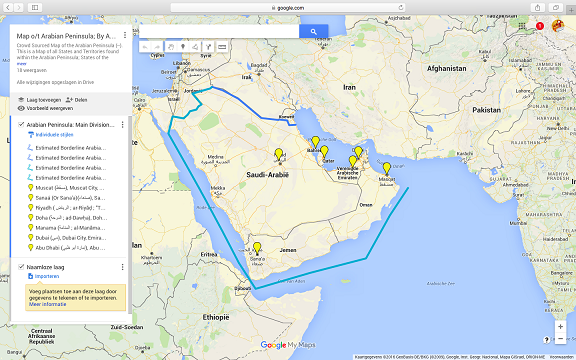 A Google supported satellite image based map of the Arabian Peninsula. Nations of the Arabian Peninsula include Saudi Arabia, Qatar, The United Arab Emirates, the Kingdom of Oman and Yemen. Map features are under development. A Listing of satellite image based maps of the Arabian Peninsula, Arabian Nations and/or parts‍‍‍ there of. 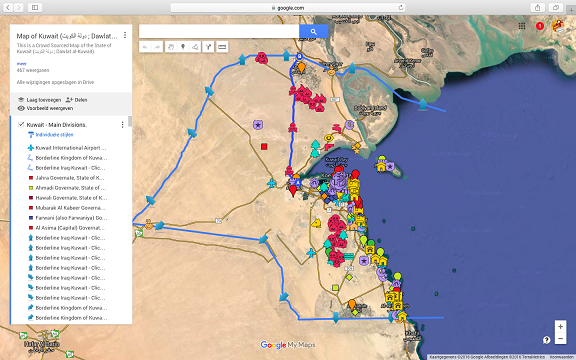 A Google supported overview map of the small Arabian Nation of the State of Kuwait between Iraq and Saudi Arabia of the Arabian Peninsula. Map includes main divisions and borders, Capital City and other cities, location of districts, important transportation features such a harbors, location of Mosques in Kuwait City, infrastructure and (military) bases and further landmarks, monuments and hotspots of Kuwait. 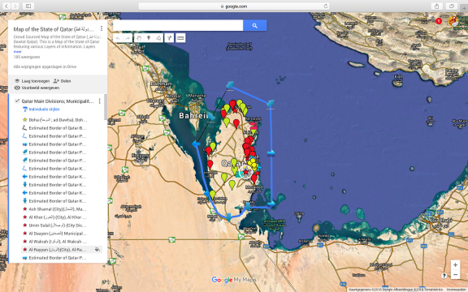 This is a Google supported multi-layered mapof the Nation and Country of Qatar, situated on‍‍‍ a Peninsula of the Arabian Peninsula. Map includes; International Borders, main divisions of Qatar, Capital and other cties. Listing of all available map‍‍‍s of the caucasus regions, Georgia, Azerbaidjan, Armenia, Abkazia, South Ossetia, Ngorno-Karabach, or parts there of. 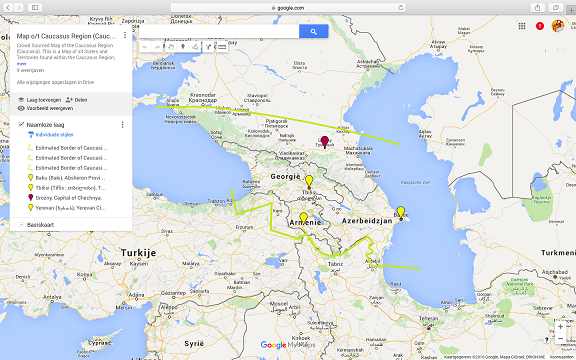 Google supported satellite image based Map of the Caucasus Regio‍‍‍n, by AsiaReport.com. Nations of the Caucasus Region are Georgia, Armenia and Azerbaidjan. In addition there are a number of disputed territories, conflict zones and “ethnic enclaves“. Neighboring Nations are Turkey, Iran and the Russian Federation. Only basic information available. Map features are under development. A listing of all av‍‍‍ailable satellite image based maps of the Indian Sub-Continent and the Nations of Indian, Pakistan and Bangladesh, as well as Sikkim, Jammu and Kashmir, etc. 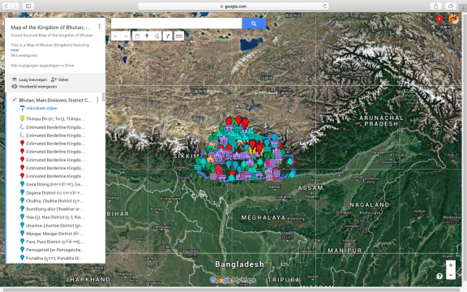 A listing of all availab‍‍‍le satellite image based maps of the Himalayas, Himalyan Nations and parts there of. 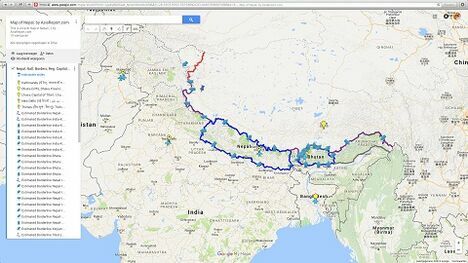 A Google powered Overview Map of all locations of interest within the Kingdom of Bhutan by AsiaReport.com. The Bhutan Map includes several layers ‍‍‍with information regarding; basic geography - capital and regional capitals and towns, transportation - airports and bus stations, further landmarks, monuments, hotspots, bridges of various kinds, mountain peaks and gletsjers. An all purpose tourist and travel map to Nepal. Map features regional and National delineations and borders, regional national Capitals plus regional airports, link options to Bhutan and information and further the general geography of Nepal: main cities and towns, roads and rivers, main mountains as well as historic landmarks, scenic sights, tourist hotspots and where possible and available travel facilities. A listing of all ‍‍‍available satellite image based maps of Indian Ocean Nations and Islands. 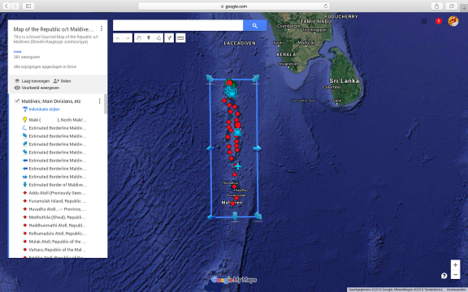 This Map is a Google supported satellite image map of the entire Maldives Island Nation, which consists of 1192 Islands spread along in a chain of 26 Atolls stretched out between the Indian Ocean and the Laccadive Sea. Map includes international borders and main divisions, the names of all 26 Atolls, names of all seperate islands, names of settlements, villages and towns (where available), transportation information such as location of airports, harbors, marina‘s and piers, and information on available luxury resorts, hotels and hostels found on the 1192 islands currently part of the Maldives Island‍‍‍s Nation. 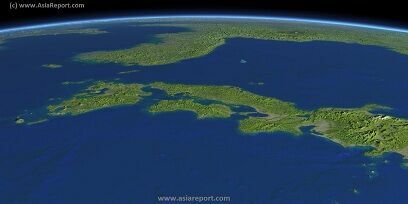 Listing of satellite image based maps of East Asia, East Asian Nations and parts there of. 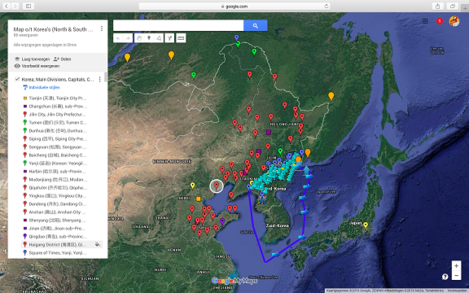 A Google powered satellite image overview Map of the Korean Peninsula - South and North Korea plus adjoining territories of relevance on one map. Map features main divisions and border lines, capital cities, cities and towns, and other information on the Korea‘s. 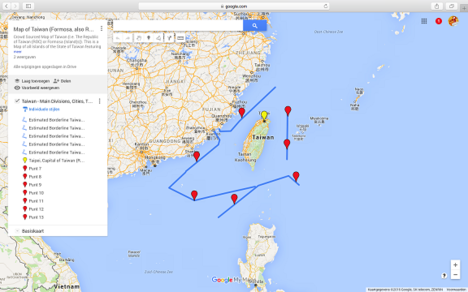 This is a Google supported satellite i‍‍‍mage overview map of the Island Nation of Taiwan, also Republic of China (R.O.C.). Map features include Cities, Counties and Districts as well as International and National Level Airports. Video per location where available. 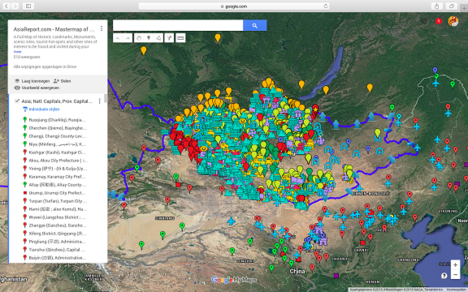 This is a detailed Google supported map of all of Mongolia and adjoining Mongolian and other territories of relevance. ‍‍‍Map features include main division and international borders, Capital City and Provincial (Aimag) Capitals, further all major and minor towns, mountain peaks, ravines and gorges, all National Parks and wildlife reserves, location of lakes, all landmarks, monuments and hotspots of interest and further the location of all water wells (where available) in each province and district of Mongolia entire. 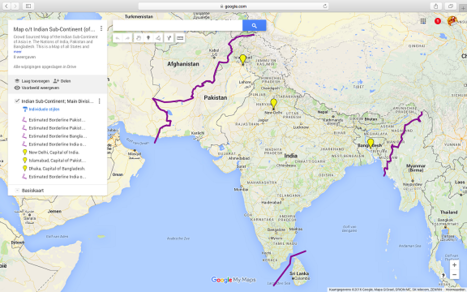 Contribute to the map by writing or vlogging about your favorite location of choice! Send us a tweet & a link? ‍‍‍‍‍‍A listing of satellite image based maps of parts of South East Asia‍‍‍, Nations in ‍S‍‍outh East Asia, etc. 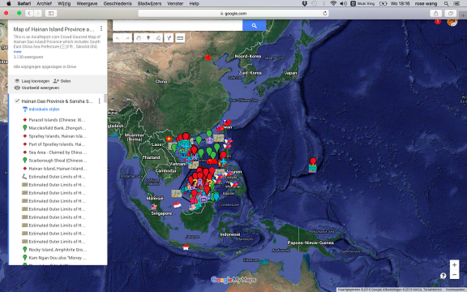 An all purpose tourist travel map to ‍‍‍main and minor destinations in continental South East Asia. Map features main delineations, international borders, National Capitals, main geography: main cities, towns and landscape features, as well as locations of historic landmarks, scenic sights and tourist hotspots. Use this map to find location details and navigate to additional information by location. This is a Google supported satellite ‍‍‍image map of the South China Sea (International waters parts of which are disputed by several sovereign nations with all currently being claimed by China (PRC) as part of South East China Sea Prefecture of Hainan Island Province) and all relevant adjoining territories. Map includes Main borders, international divisions and delineations, names of Island Groups, names of Islands, names of towns and settlements, locations of transportation infrastructure such as piers, harbors, lighthouses and other markings, as well as locations of interest such as landmarks, monuments and scenic sights. 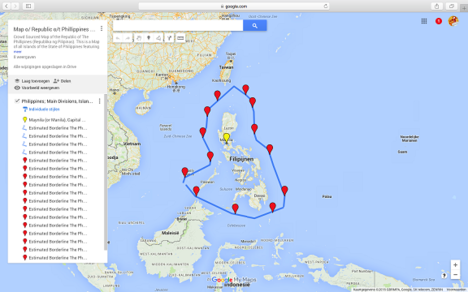 This is a Google supported satellite image overview map of the Philippines Island Nation, created by AsiaReport.com. Map features; International Borders, Main Islands, Main Administrative Divisions, Capital City and all other cities in The Philippines. Further details are currently under development. 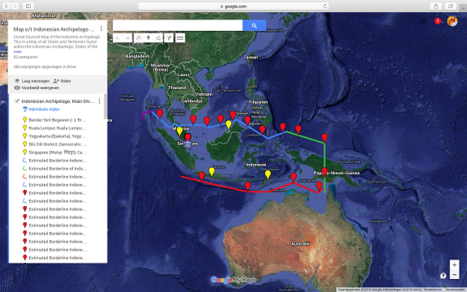 This is a Google supported Satellite Image Overview Map of the Indonesian Archipelago, i.e. Indonesia, Ma‍‍‍laysia (Islands not Continental), Singapore and Brunei. 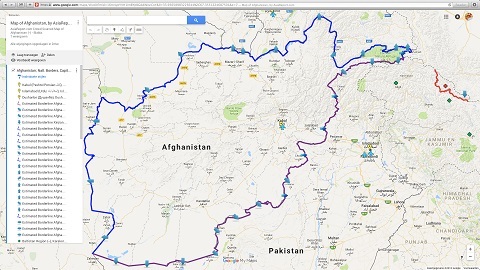 This is a Google supported satellite image map of the Central Asian Nation of Afghanistan. Map includes International borders, regional National Capitals, Main Division of the Nation of Afghanistan, Transportation features; Airports, etc, Geography; main mountains, rivers, towns; plus the usual historic landmarks, scenic sights, and other sites of interest. 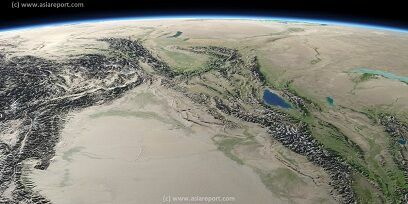 This is a Google supported Satellite Image Map of the Central Asian Nation of Turkmenistan. 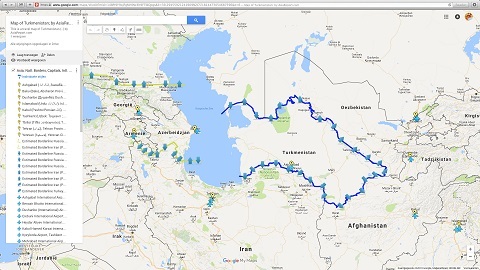 Map includes International borders, regional (National) Capitals, main divisions of Turkmenistan, main geographic features such as mountains, rivers, main cities, towns ; historic landmarks plus other noteworthy sights and loccations within Turkmenistan today. 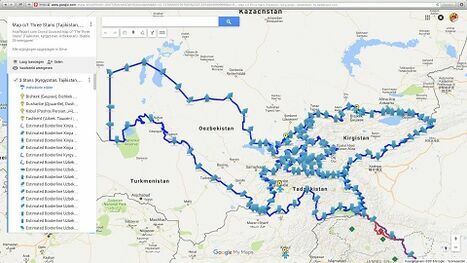 A google satellite image based map of the 3 Stans; Kyrgyzstan, Tajikistan and Uzbekistan. Map features regional delineations, International Bor‍‍‍ders, National Capitals, main geographical features: main cities and towns, mountains, rivers and lakes, historic landmarks, scenic sights and tourist hotspots. Use this map to find locations and navigate via pins to additional information, backgrounds and maps. All available satellite based image based maps of We‍‍‍st Asia, West Asian Nations and parts there of. An all purpose travel map for the Island‍‍‍ of Cyprus entire, including Greek, Turkish and British (UK) Territories. Map features main International Borders and delineations of Cyprus Island, Regional National Capitals and International Airports, main Cities and Towns of Cyprus. further: historic landmarks, scenic sights, tourist hotspots and other sites of interest. Contribute by adding your video or blog item, find us via twitter @asiareport.com or join Asia Travel Community on Facebook.